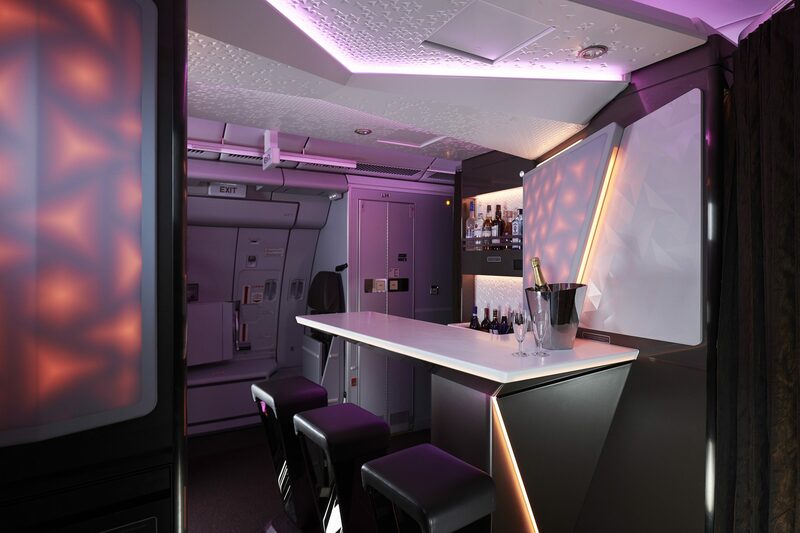 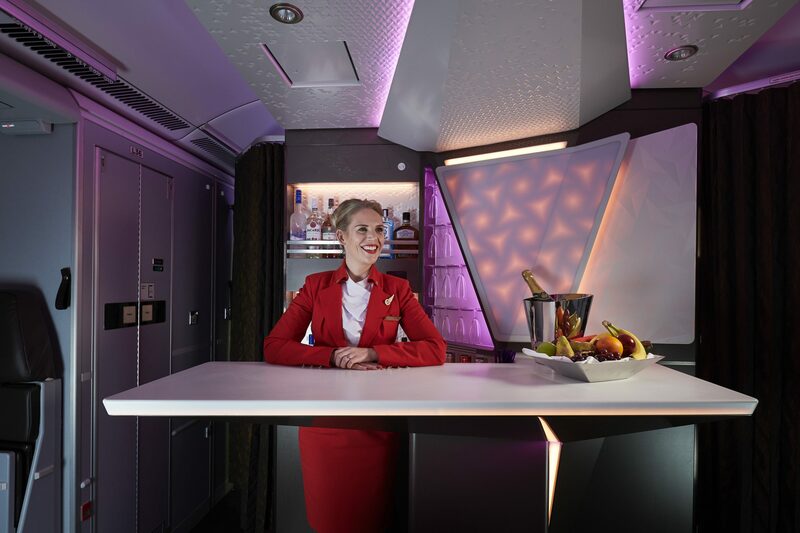 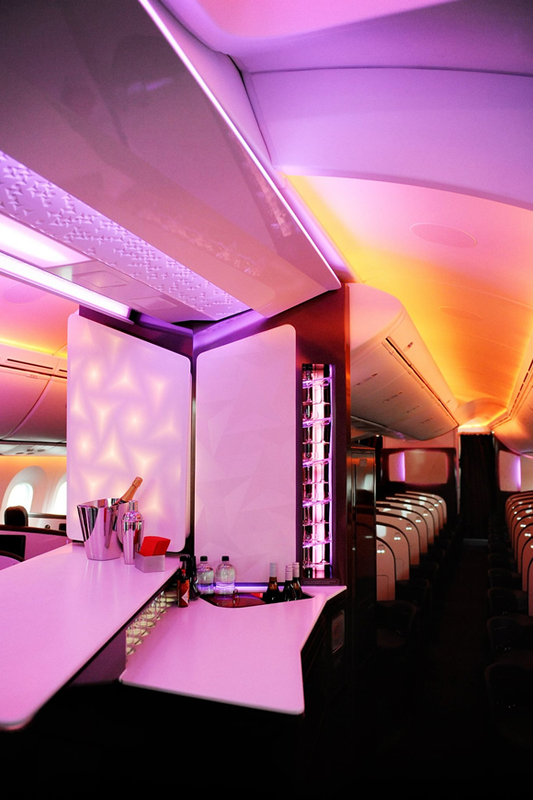 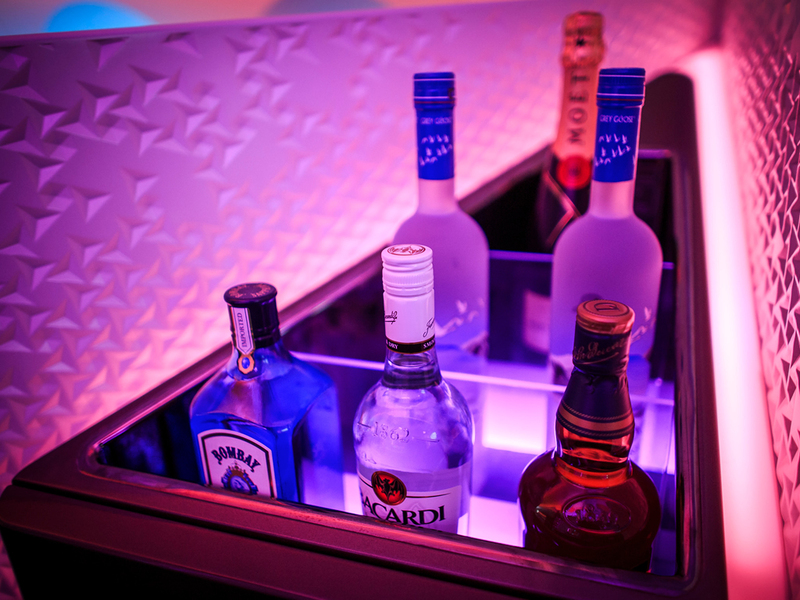 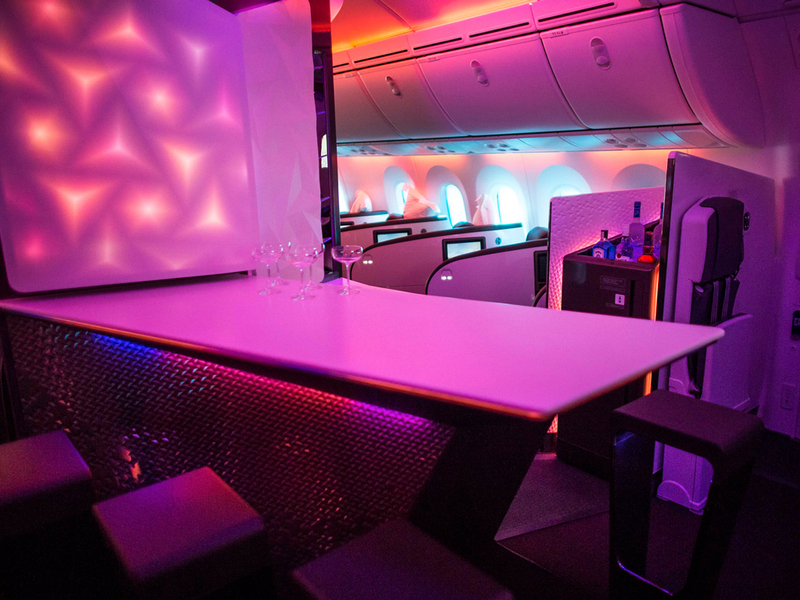 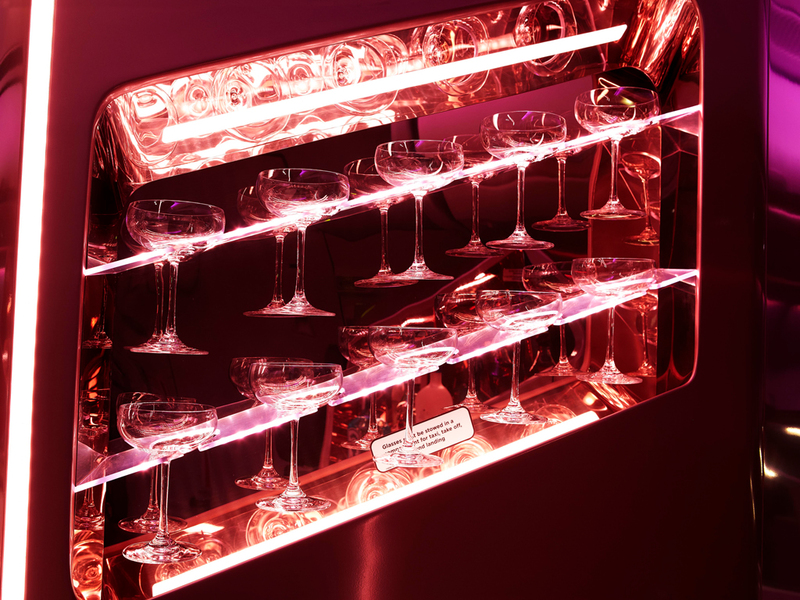 The stunning new bar on board Virgin Atlantic Airways’ fleet of A330-300s is AIM Altitude’s most recent project with the airline. 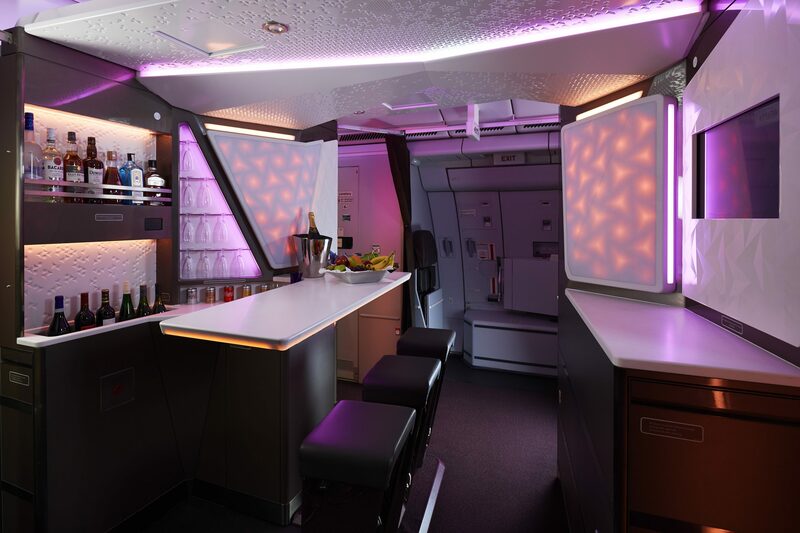 The theatrical lighting of the social space elevates and enhances the angular form of the bar design. 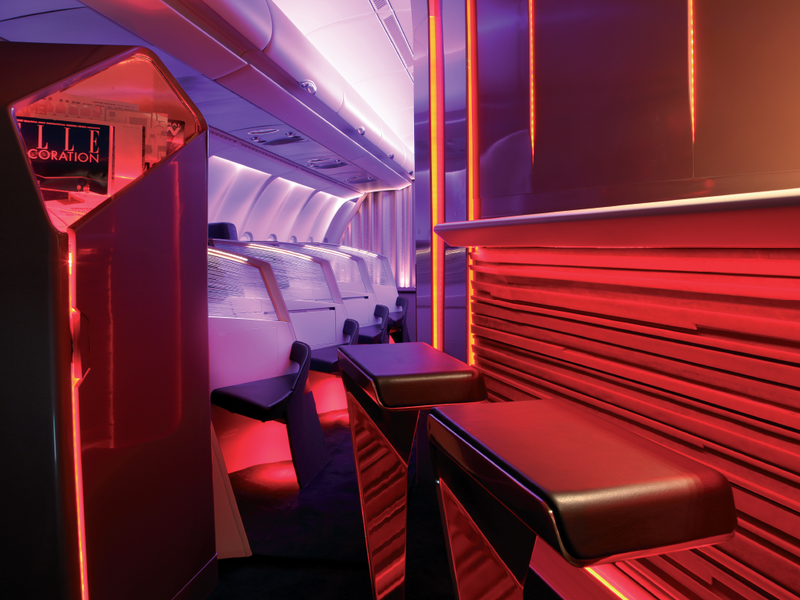 The redesigned Door 2 zone includes a self-service area with increased stowage space and magazine displays. 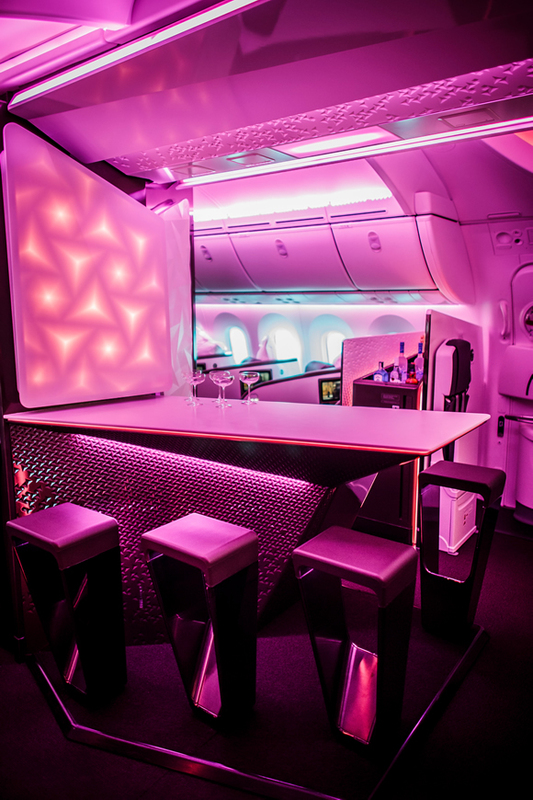 Backlit Corian panels, intricately cut Kydex ceiling panels and the warm colour palette complete the atmospheric passenger experience of this premium multi-functional space. 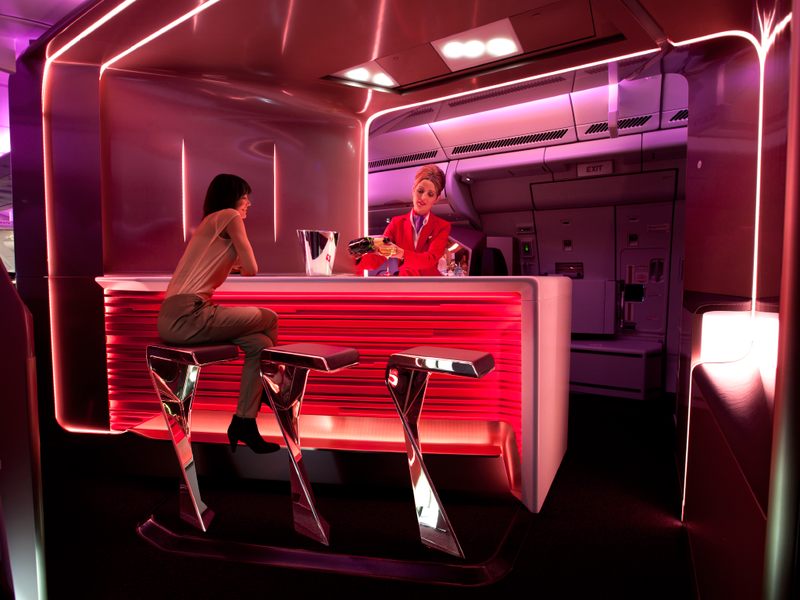 Promoting a fun side to air travel, the area boasts modern angular design influences mixed with advanced materials and production techniques. 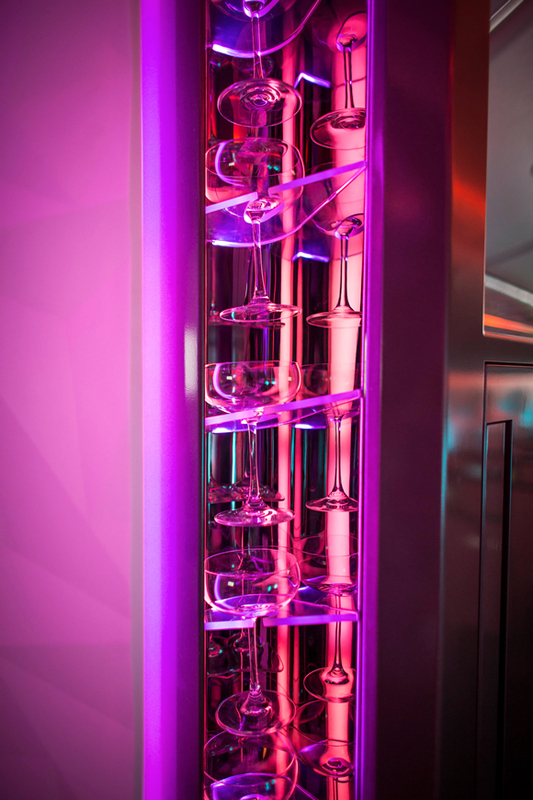 The overall appearance is not one you will forget. 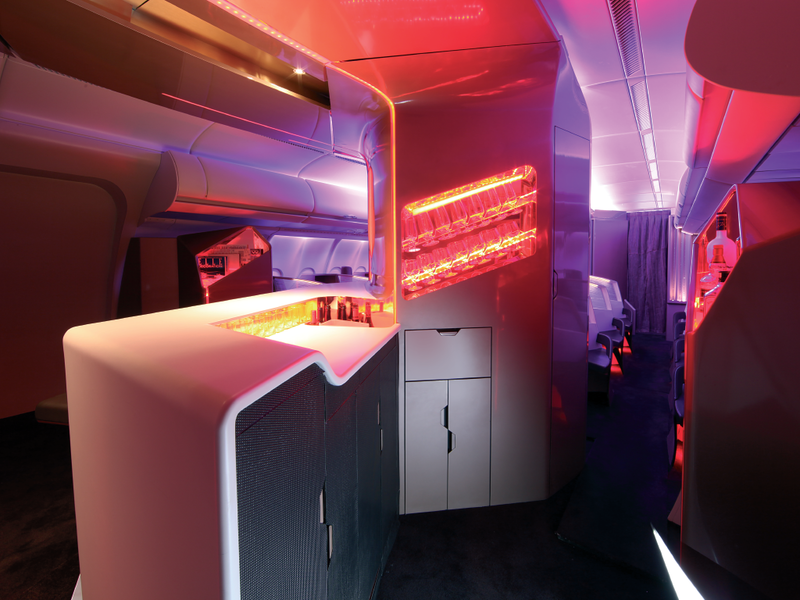 This concept was a huge leap forward in terms of form and function. 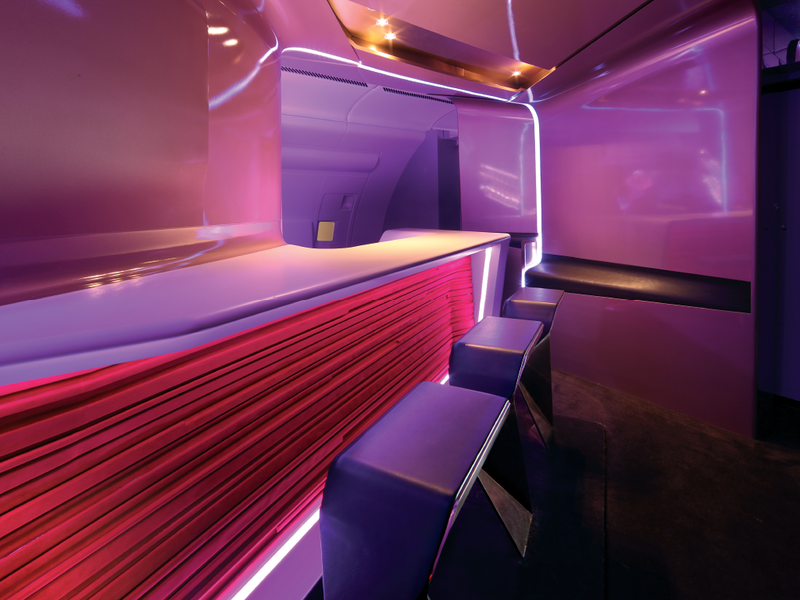 Specialist bar tops, sharp angled monuments and striking lighting features were fused together to create a futuristic and funky social area.